Benjamin Johnson was born August 20, 1934 in Savannah, Ga. He attended Savannah’s public schools, and later joined the United States Army in the early 1950’s to fight for is country during the Korean War. He received several distinguished medals while serving in the Korean War. He rescued a down pilot in Korean waters and survived a bombing. His story was featured in Jet Magazine in 1953. Johnson and another member of his unit were survivors of a tragic bombing which killed 14 other servicemen. He returned home in 1955 and began civilian work. In 1956 Johnson and a group of young men joined the workforce at the International Longshoremen Association (ILA) in Savannah. In 1959 the “Letter Category System of ILA was created. This system displays how much seniority (years and hours) a member has in the ILA. Johnson is the youngest of 300 men to receive the “A” letter of seniority and work as a Supervisor (Header) of ILA. After accumulating over 58 years and 160,000 working hours, he retired on June 1, 2014. He has worked more hours than any longshoreman of the ILA Local 1414. Due to his hard work, perseverance, determination and courage, he has made the ILA Local 1414 one of the fastest growing and industrial ports in the United States. 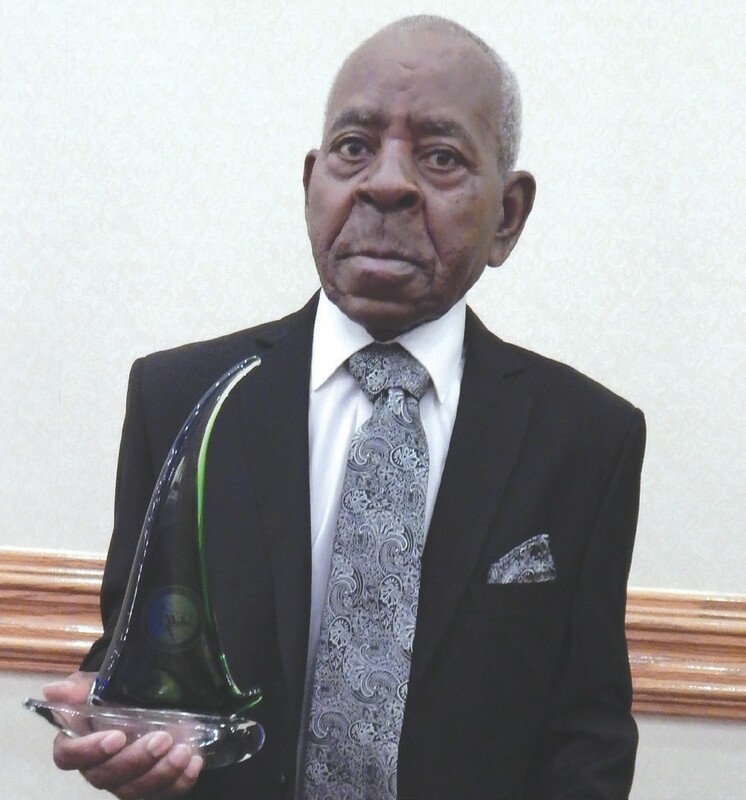 On Tuesday, July 22 during an ILA conference held at the Marriott Savannah Riverfront, Johnson was honored and presented with an Achievement Award by the International ILA President, Clyde Fitzgerald and others for the most hours and years of outstanding service. Mayor Edna Jackson also presented Johnson with a “Letter of Congratulations”. Johnson is married to the former Betty Walker for 52 years and they have 5 children, 18 grandchildren, and two great grandchildren A retirement banquet honoring Johnson will be held on Saturday, August 23, 2014 at the ILA Ballroom, 221 E. Lathrop. For more information contact Chris Johnson, (912) 308-3971.